Although you can’t do a loop that’s all off road, this track is still great for all ages. You can take in 2 playgrounds, see wetland birds, go as far as you want and then turn around or complete a loop by using the pavements. It’s fine for bikes (including balance bikes) and buggies but perhaps too bumpy for scooters in places. A track starts near the car park on Signal Street sign posted for Holben Pavilion, where there are also toilets. There are a couple of swings here too (including a preschooler swing), picnic tables and a large grassy area. This path follows the road round towards the playground on Seabury Street but is protected from the traffic by bush and ponds. You might want to take something to feed to the ducks which are usually hanging out in the largest pond before you cross over the road. This part of the track ends across the road from the the playground/skatepark at Seabury Ave, which you might want to check out (more details here). The path continues through the playground crossing over Holben Parade and follows Carter Crescent with the wetlands on one side. Take binoculars and stop off at the information point to see if the kids can identify anything. 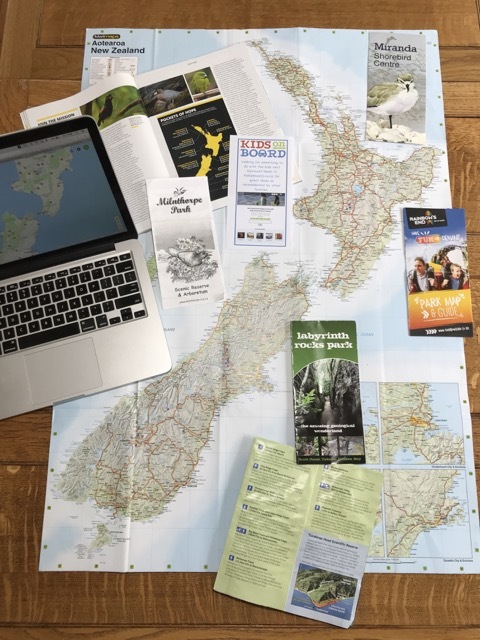 Pukeko, Oyster Catchers and Herons are common with seasonal migrating birds like the Royal Spoonbill easy to spot at certain times of the year. The wetlands area is so close that even small kids should be able to see something! The track passes alongside Hartley Street all the way to the Manawatu Boat Club. Just keep an eye on kids if they’re getting too far ahead of you, as they’ll need to cross over the ends of several cul de sacs. 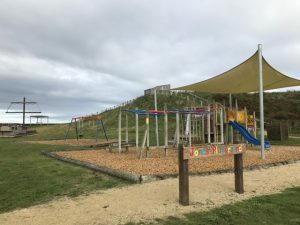 It’s worth navigating your way through the boat club car park to the end of Hartley Street, as a little way along the track that starts near the paddocks, is another playground that’s worth checking out. Jones Playground has a pirate ship for climbing on and over and lots of role play opportunities. 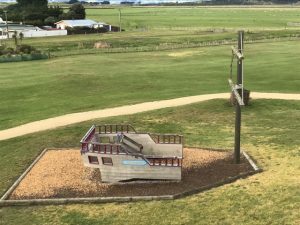 There are also swings, a long metal slide, a ball shooting hoop, an obstacle course for older kids with a flying fox, monkey bars, ropes to balance along etc. This also has a preschool section that is covered by a shade sail with a tunnel, small slide, shorter ladders, naughts and crosses etc. Again, lots of grass around and opportunities for picnics, ball games and running around. There’s a carpark just off Seabury Ave and a Four Square just a few minutes away if you need any supplies. 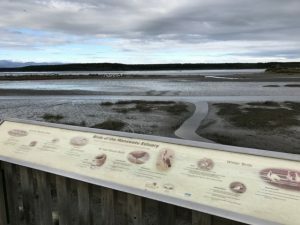 From here, you’ll either need to return in the direction you came from to be mostly off road or you can connect back to the playground or other parts of Foxton Beach along the pavement on Seabury Ave. The full loop would be around 5km but you can make it shorter by turning back at any point. Address: This walk could start/finish at Holben Pavilion on Signal Street and go through to Jones Playground on Seabury Ave. You could return to Signal Street the same way or along pavements / the road on Seabury Ave. There are carparks at both ends and toilets at the Pavilion.